This year’s IBIS theme ‘Success Through Synergy’ is looking at new technologies and business relationships, and how both can be utilized in successful future strategies. 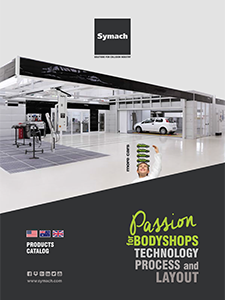 A right occasion for Symach and its FixLine Process, whose innovative technology and revolutionary solutions boost efficiency and productivity of the body shop. Symach implements a really successful synergy, following the customer from design to commissioning to ensure the best service.